As concerns continue to build, will a Qatar World Cup really happen? The plot of land where Lusail Iconic Stadium outside Doha, Qatar, will stand is mounds of dirt and sand last fall, some nine years before the World Cup is slated to be played there. This story appears in the July 28, 2014, issue of Sports Illustrated. Subscribe to the magazine here. The city that will host the 2022 World Cup final doesn’t yet exist. And so, on a relatively temperate day in Qatar—97 degrees at 3:45 p.m.—you drive a half hour north from Doha, past all the construction cranes, past the billboards heralding the future (Lusail City, Iconic City, We Will Make It Happen) to the patch of bare desert sand that, eight years hence, will stage the planet’s biggest Big Game. You step out of the car, and your sunglasses fog up instantly. In the distance you can make out a white school bus carrying migrant workers—from Nepal, perhaps, or India—to a nearby job site. Do you see progress? Qatar’s World Cup organizers view this ground as a blank canvas for a new era in the Middle East, a way to advance their society and use soft power—i.e., the world’s most popular sport—to promote the country’s foreign policy. Or do you see folly and outrage? Consider all the reasons critics say Qatar shouldn’t have been awarded World Cup 2022 by FIFA’s executive committee 3 1/2 years ago. There’s the heat: The average high temperature in mid-July, when the final is currently scheduled, is 106 degrees, and FIFA’s own technical report branded Qatar’s climate “a potential health risk” for players. There are the allegations of corruption: The Sunday Times of London reported last month that a Qatari official had paid millions of dollars to FIFA voters and influencers in exchange for World Cup votes. (The Qataris deny this.) And then there are the working conditions for those constructing Qatar’s stadiums and infrastructure: An independent study by a multinational law firm cited 430 Nepalese and 567 Indian worker deaths in Qatar between January ’12 and April ’14. ​Amnesty International says that Qatar, the world’s wealthiest nation per capita, located on a finger of natural-gas-rich desert in the Persian Gulf, hasn’t done nearly enough to prevent the systematic abuse of the country’s 1.4 million migrant workers. The human rights organization has called for an end to the kafala system, common in the gulf states, which requires migrants to have sponsors who control their exit visas and can thus prevent them from leaving the country. “Qatar is a country without a conscience,” says Sharan Burrow, the general secretary of the International Trade Union Confederation, which has demanded FIFA re-vote for the 2022 Cup. The Qataris have responses for those charges. The heat? It won’t be a problem, they say, because of innovations in open-air cooling. “The first generation of cooling technologies has been a great success and is on the ground today,” says Al Thawadi, who adds that Qatar nevertheless is open to hosting the tournament during a cooler time of year, likely November and December, if FIFA changes the schedule. As for the corruption charges? “We won fair and square,” Al Thawadi says. A fast-talking, British-educated lawyer who once lived in Houston, Al Thawadi, 35, speaks with a vocabulary full of Americanisms; he says fans will “have a blast” in Qatar and apologizes with a smile for his “verbal diarrhea.” When you question him about migrants’ rights, he holds that global media attention surrounding the World Cup will force Qatar to adopt a better working environment. But does Al Thawadi have enough juice with the Qatari royal family (which runs and funds nearly everything in the authoritarian nation) to persuade them to enact real change? Shouldn’t mega-events such as the World Cup and the Olympics be awarded to countries after they start treating workers humanely? And with all of this controversy continuing nearly four years after the vote, what are the chances that Qatar will host the World Cup in 2022? Is a re-vote even possible? It may look like a simple patch of sand. But that depends on what you see. 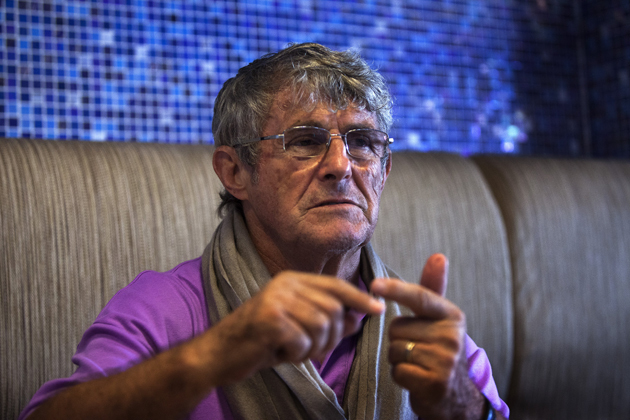 Former U.S. national team coach Bora Milutinovic is part of the sporting revolution in Qatar. Bedecked in blue mosaic tiles, the L’wzaar Seafood Market, hard by Doha’s Katara Beach and the opera house, is the kind of restaurant that wouldn’t be out of place in London’s Shoreditch neighborhood or in New York City’s meatpacking district. Over a lunch of salmon and sea bass, Bora Milutinovic holds court on Qatar, the country he now calls home 10 months of the year. A peripatetic Serb whose main language is Spanish, Milutinovic has coached a record five World Cup teams: Mexico (1986), Costa Rica (’90), the U.S. (’94), Nigeria (’98) and China (2002). He has an uncanny ability to win over bosses and fans in any country, and in ’10, a few years after coaching Qatar’s top club, Al Sadd, he began serving as one of the main ambassadors for Qatar’s World Cup ’22 bid. These days Milutinovic’s official job is as an adviser at the Aspire Academy, a sprawling state-of-the-art institute in Doha for elite young athletes. He’s too smart to take the Qatar national team coaching job—at least not until right before the team receives its automatic World Cup bid for 2022—and so he does a little bit of everything for Qatari sports. In December ’10, he played a starring role in Qatar’s formal World Cup bid presentation in Zurich, where the country beat the U.S., 14 to 8, in the final round of voting. His old employers weren’t exactly thrilled. Qatar’s idea to bid for World Cup 2022 was born in ’09, when Sheikh Hamad bin Khalifa bin Ahmad Al Thani, the head of the country’s national soccer federation, called Al Thawadi in for a meeting. FIFA had announced in late ’08 that it would award both the ’18 and ’22 tournaments at the Zurich meeting. A winning nation would then have 12 years to prepare for the ’22 Cup. The Qataris saw that span as a chance to propose futuristic projects that they would have time to complete, including new transportation networks and new stadiums, some of which would be broken down afterward and sent to developing nations. At the final bid presentation in 2010, the Qataris sold themselves as offering the first World Cup or Olympics in the Middle East. And they brought out their trump card, Sheikha Mozah, wife of the then Emir and the Jacqueline Kennedy of the Arab world, who spoke eloquently. The U.S. had its own cleanup hitter, Bill Clinton, but he wasn’t enough. Qatar stunned the sports community with its victory and energized an entire region. Yet the questions about Qatar and its World Cup bid were just beginning. Two of the 24 members on FIFA’s executive committee were suspended in 2010 after undercover reporters for The Sunday Times caught them trying to sell their votes and breaching rules. And in the last four years, five more FIFA voters (including Chuck Blazer of the U.S.) have either been banned from the organization or forced off the executive committee amid charges of misappropriating money or giving/taking bribes. One of those banned was Qatar’s Mohamed bin Hammam, for improper conduct during his tenure as the head of the Asian Football Confederation. Bin Hammam was cited in a Sunday Times report last month for allegedly bribing World Cup voters to choose Qatar. In 1999, after it was revealed that International Olympic Committee officials had been bribed by Salt Lake City organizers, the IOC changed its bid process. FIFA now claims to be undergoing similar reform and has changed the rules about how World Cup hosts will be chosen. The entire 209-nation body will now vote, not just the executive committee. FIFA has also established an ethics committee with what it calls independent investigatory and adjudicatory branches. In July 2012, FIFA appointed as its lead investigator Michael Garcia, a former U.S. attorney for the Southern District of New York, who was in charge of the federal probe that helped to bring down New York governor Eliot Spitzer. Charged with investigating the World Cup bids for ’18 (which was won by Russia) and ’22, Garcia is expected to release his findings to FIFA in September. Meanwhile, publications including France Football and The Sunday Times have published a steady stream of investigative reports raising questions about the Qatari bid, and The Guardian dropped a bombshell exposé last September detailing the personal stories of Nepalese migrant workers who have died by the hundreds in Qatar. In response Qatari media have alleged that the most recent reports are driven by racism and anti-Islamic bias. 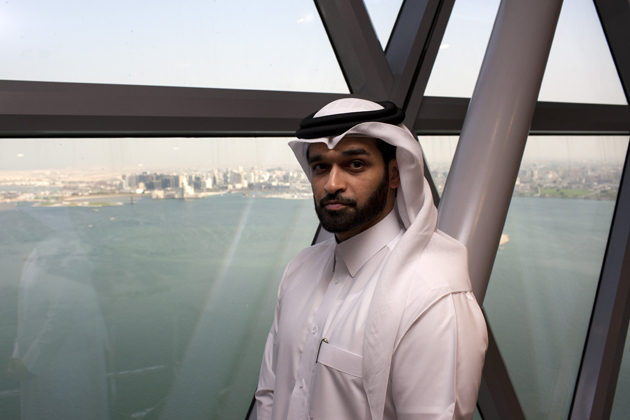 Hassan Al Thawadi, head of Qatar's 2022 World Cup organizing committee, has grand visions despite loud criticisms. What would happen if Qatar lost the World Cup? The country would save upward of $30 billion on stadiums and infrastructure, for starters. But that would pale in comparison to the loss of prestige, says James M. Dorsey, author of the respected blog The Turbulent World of Middle East Soccer. After spending years and billions of dollars building influence in the region—not least through Al Jazeera television, which is funded by the Qatari royal family—-Qatar’s status in the Middle East took a hit when the government backed the failed Muslim Brotherhood government in Egypt. Losing the World Cup would hurt Qatar’s standing even further. As for Qatar’s treatment of migrant workers, FIFA has expressed concern, but nobody in the organization has threatened to move the tournament for that reason. The most likely scenario for dealing with the June-July heat—and one favored by FIFA president Sepp Blatter—involves moving the Qatar World Cup to November-December 2022, with the final taking place just before Christmas. Such a plan would certainly be met with resistance by the tournament’s various stakeholders. Fox, for example, paid $425 million for the U.S. English-language TV rights to World Cups 2018 and ’22 in June-July, and it would want compensation for a tournament taking place during the pro and college football seasons. Likewise, the powerful European domestic leagues would expect some sort of payback for having their calendars disrupted. But the prevailing sense inside FIFA is that the organization will reach a solution that allows for a November-December tournament in Qatar. But Reiche cautions that World Cup 2022 will only be a success if Qatar is responsive to legitimate concerns. Back in Doha, in his aerie above the space-age downtown skyline, Al Thawadi projects openness toward skepticism and criticism. Will migrant workers die by the thousands in constructing World Cup venues and infrastructure? “The safety, security and dignity of every migrant worker—of every person that delivers this World Cup—are put at the forefront,” he promises. And given Qatar’s laws against homosexuality, will gay fans be welcome at the World Cup? Do you believe Al Thawadi? Do you think Qatar can use the World Cup to modernize its treatment of migrant workers? Or do you believe Amnesty International and the International Trade Union Confederation, who don’t buy what he’s selling? All signs say that we’re going to Qatar in 2022, but at what cost? A couple of weeks ago the IOC heard recommendations about how future Games will be awarded and conducted. After a Winter Olympics in Sochi that cost $51 billion, and a World Cup in Brazil that drew mass protests over public spending, fewer cities than ever are showing interest in bidding for sports’ mega-events. Two weeks ago the IOC narrowed the list of bidders for the 2022 Winter Games from three to . . . three—Beijing, Oslo and Almaty, Kazakhstan. All other potential bidders had dropped out. Who will host the Olympics and World Cups of the future? How can the IOC and FIFA spread their events around the globe if only petrochemical giants, select oligarchies and a few infrastructure-rich nations like the U.S., Great Britain and Germany can afford to stage them? What do you see here? Progress or folly? TIME's Aryn Baker contributed special reporting to this story.